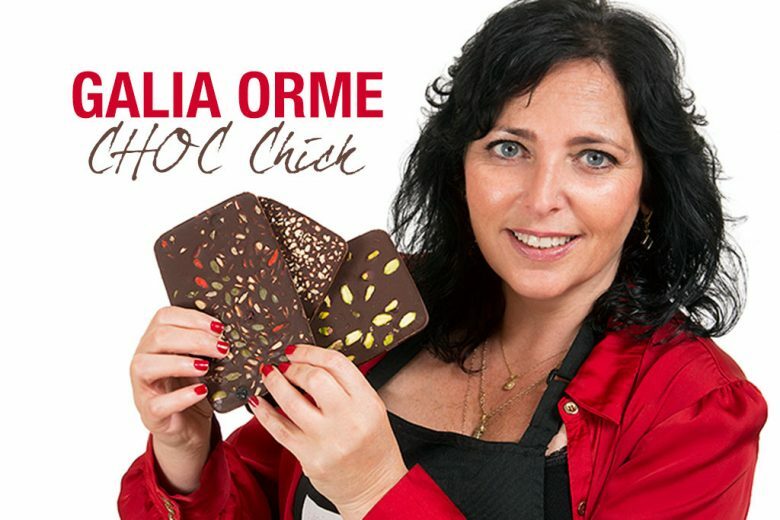 In 2009, Galia Orme turned her passion for chocolate into a raw chocolate business, CHOC Chick. Today her products are stocked in John Lewis in the UK, Whole Foods Market in the US and over 200 stores across Europe. She tells us how she did it! 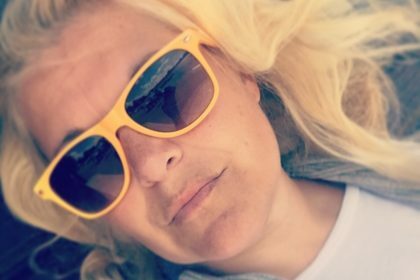 I’ve had a really varied career, from studying law in my 20’s to working in marketing communications in the high tech industry abroad, working in Brighton for an internet marketing company, singing in a band and volunteering for a human rights charity where I worked with trafficked young women. What inspired you to start working with chocolate? Chocolate has always been one of my biggest loves, my other one is music and singing and I thought that being over 40, I was probably too old to be a rock chick so decided I might try and be a CHOC Chick instead. I had also discovered raw chocolate making and after realizing how delicious, easy and healthy it is and how little access people had to, I thought there was a definite need for healthy chocolate alternatives. When did you launch your company CHOC Chick, and what do you do? I set up my business in 2009, initially as an online store selling raw chocolate making kits with organic cacao butter, organic cacao powder, a natural fruit sweetener and my recipes to make raw chocolates, truffles and cocoa drinks that are free from dairy, gluten, soya, processed sugar and guilt! By 2010 I was stocked in John Lewis Food Halls, Whole Foods Market and listed with four distributors selling my CHOC Chick Kits and organic cacao ingredients in over 200 stores across the UK and Europe. 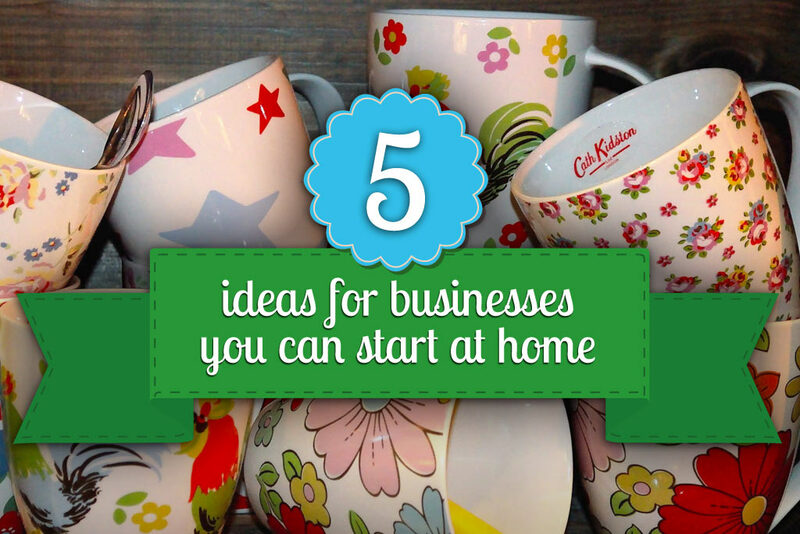 What did you find the most challenging about starting your own business? Working on my own and not having an office to go to in the morning (or a reason to get dressed up!) 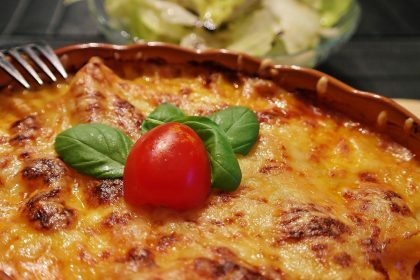 has been quite difficult, but really the most challenging aspect was my lack of knowledge of the food industry and how to cost and price my products. I think I made every mistake possible when first starting up a business and it took me a while to learn how to effectively run my business and be more profit-oriented. And what has been easier than you expected? Finding good advice and getting support, particularly from other women in business and women’s networking groups. It’s amazing how easy it is to get help and advice if you ask for it. I encountered many other business people and entrepreneurs who were more than happy to answer questions and connect me to buyers or others who could help my business grow. What is your marketing strategy? Who is your ideal customer and how do you reach them? I do a lot of online marketing, Facebook, Twitter, Instagram and lots of face-to-face marketing through demos and workshops in store. I love getting to know my customers and seeing people’s faces when they try my raw chocolate recipes for the first time is amazing. 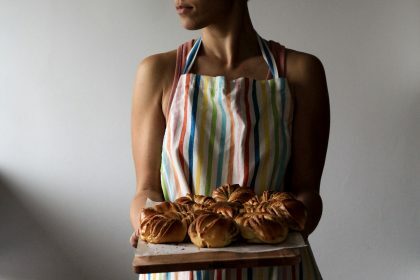 My ideal customers are women who love cooking, baking, healthy eating and are always looking for healthy alternatives, as well as anyone with free from requirements with allergies to dairy, gluten and processed ingredients and high end chocolate lovers from all walks of life. How does it feel to work every day doing something you love? Do you ever get sick of chocolate? I feel incredibly fortunate. I am very passionate about chocolate and my business and although running your own business is a genuine roller coaster ride, I love being able to build something from scratch and have learned so much along the way. And no, absolutely not – I can’t imagine ever being sick of chocolate! You’re just branching out to the US. How has that happened? This was an incredible opportunity through Whole Foods Market in the UK. I’ve been selling my CHOC Kits and ingredients at Whole Foods for several years now and have developed a wonderful working relationship with the buyers here and they recommended my products to Whole Foods Market North Atlantic on the East Coast in the US. It all happened very quickly, I sent product samples in September 2014, by October I had secured an FDA certificate, a distributor, US agent and broker and was stocked in time for Thanks Giving and Christmas in over 30 stores by early November 2014. Where would you like to see CHOC Chick in five years time? I’d like to see CHOC Chick as an international brand, with distribution in all of the US, Europe, Australia/New Zealand and China. My aim is to bring raw chocolate making to everyone and enable anyone who loves chocolate to make delicious raw chocolates that are minimally processed, free from any additives and better for us. 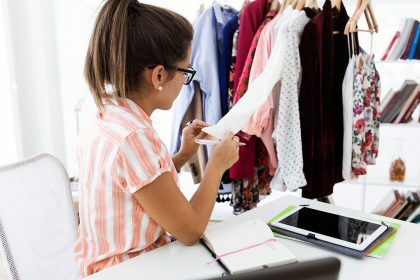 What advice do you have for mums who want to turn their passion into a business? Go for it! Get as much advice and support as you can and don’t be scared of making mistakes. 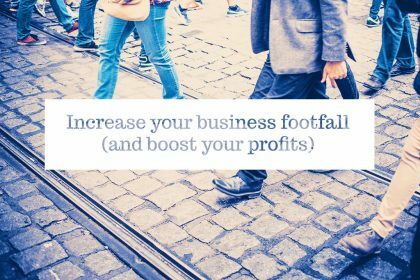 Most importantly though, work out your costings and take everything into account to build a decent profit margin – from packaging, product costs, your own time, shipping costs, any unexpected overheads and build in enough margin for marketing activities. 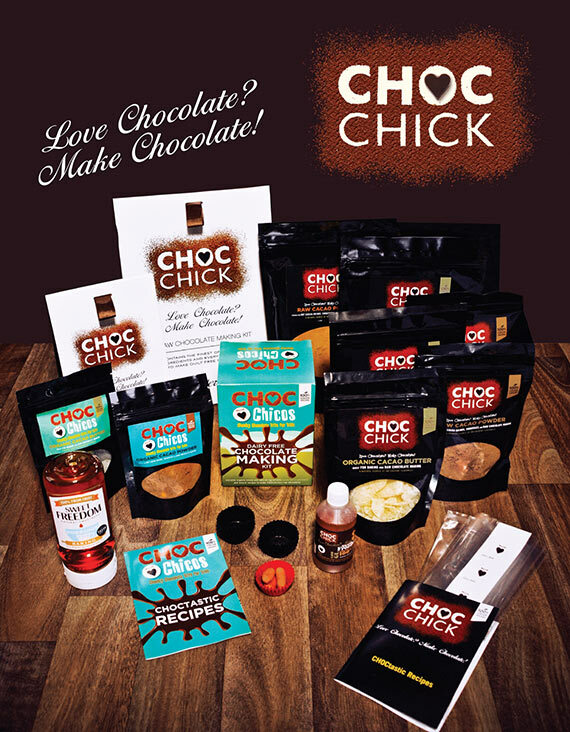 You can find out more about CHOC Chick, find recipes and buy their products on their website.